Mediterranean Table Set made ​​from fiberglass on a metal frame with silver varnish finishes. 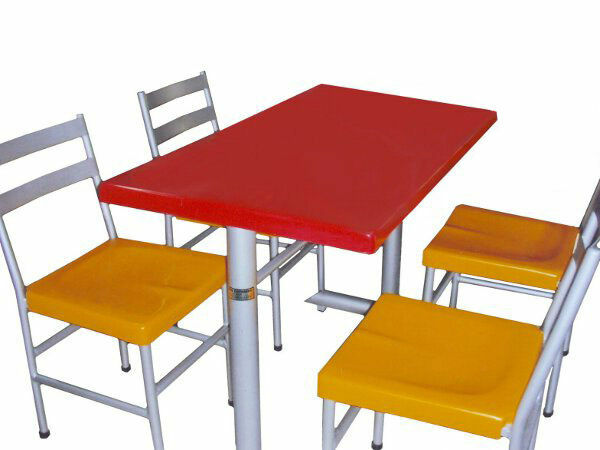 The aesthetic and elegant design is ideal for restaurants and open air cafeterias or indoors. Available in variety of colors, which fits perfectly with the image of your concept or your brand. * For more information about available sizes, contact us!